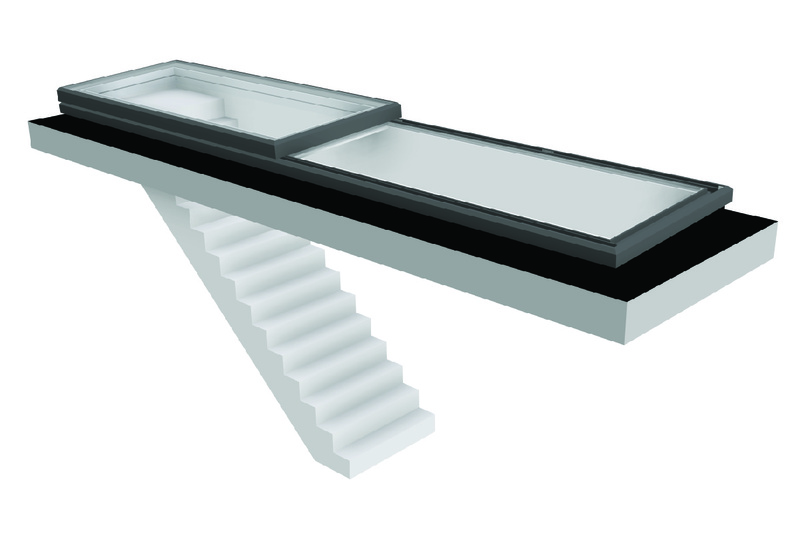 Yaffles – bespoke circular, fixed and access hatch rooflights. 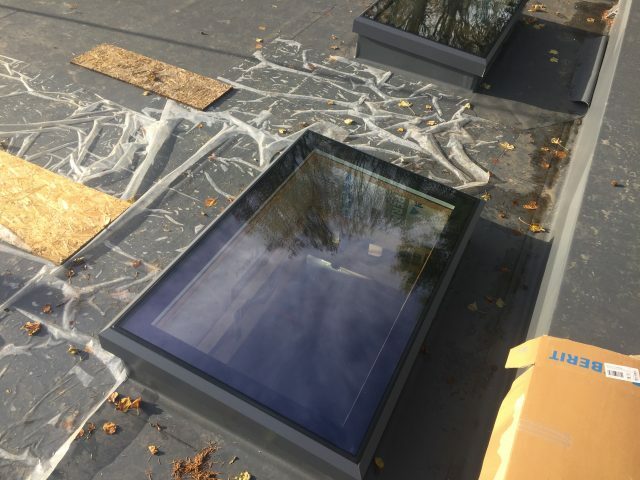 We have recently completed a project for a client with a number of different rooflights; some standard fixed skylights, a bespoke circular rooflight and an access hatch roof window. 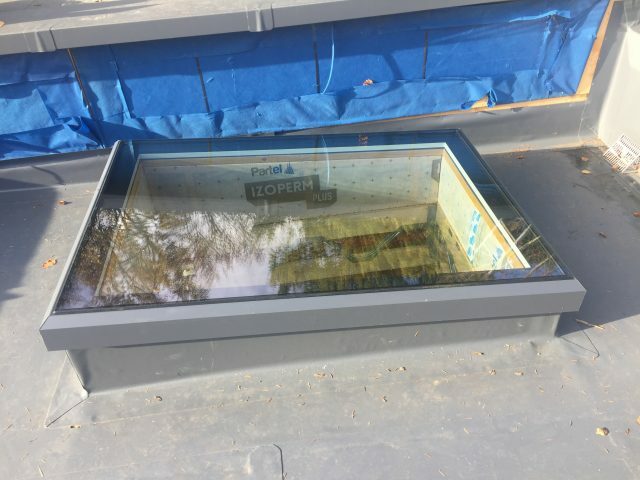 They also wanted each rooflight to be triple glazed. The professional pictures will be here in the new year but we wanted to share a little detail about the project and the pics taken shortly after installation. Our client had requested a perfectly circular rooflight which was to fit in an upstand that was already in place and not ideal for the job. 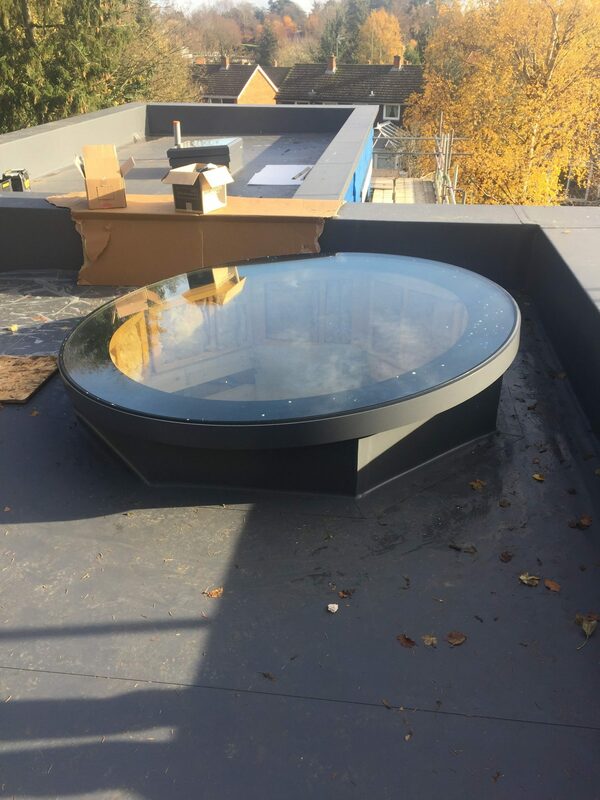 Our goal was to get this triple glazed, circular rooflight installed in this upstand whilst remaining thermally efficient. 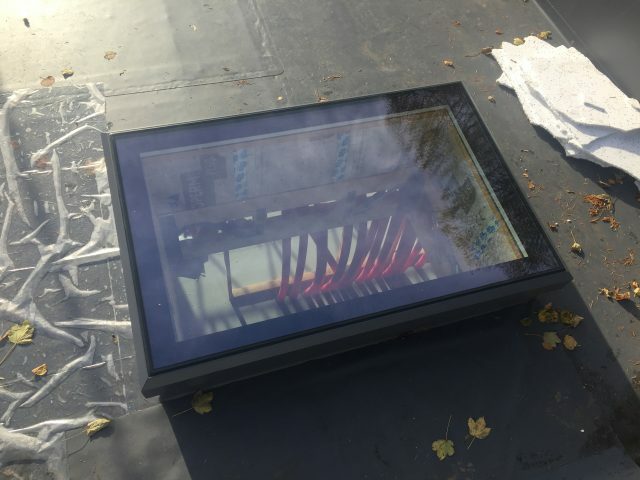 The Vision AGI install team managed to get the rooflight installed with some adjustments and were able to maintain thermal efficiency. We think it looks fantastic and look forward to sharing the professional photos next year. Take a look at the gallery of other images from the install below and if you want to bring some light into your next home building project, talk to the team. 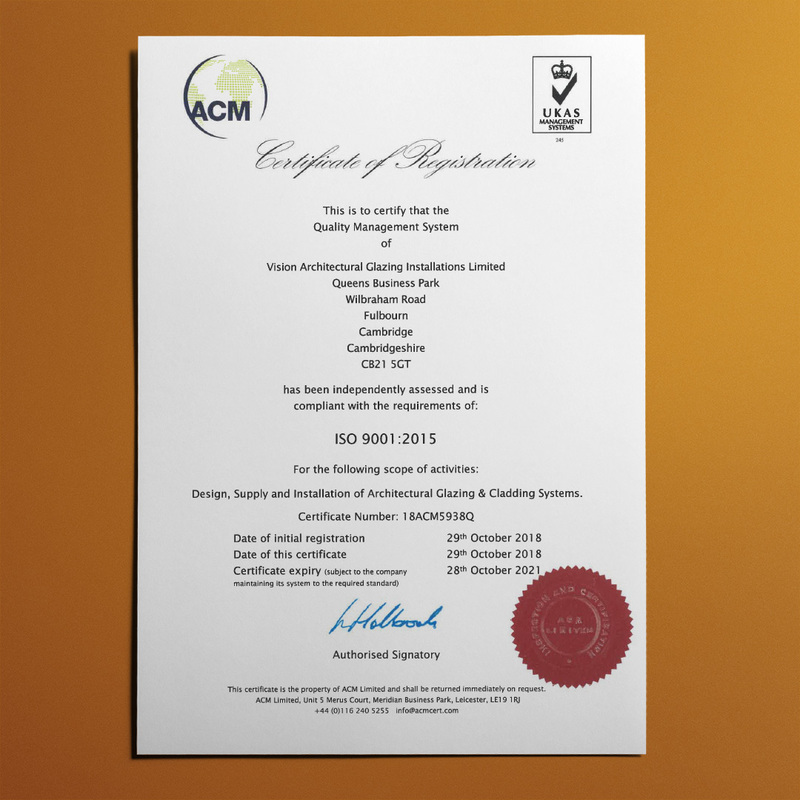 We are very pleased to announce that Vision AGI has been independently assessed by ACM, a UKAS approved certification body, and have been certified as ISO 9001 : 2015 compliant for the design, supply and installation of Architectural Glazing and Cladding Systems. We’re really proud of the team for all their hard work to get us to this point. This certification is a testament to that effort and to our commitment to excellence in our field.